Brain: The boy wants this for his birthday. Common Sense: That’s not even a toy. It’s big, and it’s just going to sit around his room with the multitude of other things he just has to look at. Brain: Hand? What are you doing? 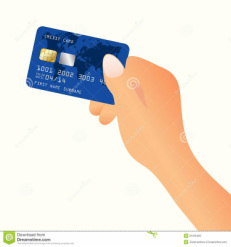 Hand: Putting in the credit card number. Sorry, it’s just reflex. Brain: What? Wait, we don’t want to buy it. How often do you do this? Hand: I don’t think you want to know the answer to that. Brain: Something must be done about that. We better shut down Memory. Memory: You've done that before. As a matter of fact, you do it constantly. Never with good results. Hand: Wouldn't make a difference. The numbers aren't kept there anyway. I just use Force of Habit. Common Sense: Of course, but you wouldn't know. You two don't speak, remember? Brain: No, I didn't know that. Common Sense: That's exactly the point. Brain: OK, so how much does Force of Habit do around here? Common Sense: Everything that you don't need to worry about. Brain: But I need to worry about everything! Common Sense: Exactly. You don't. Hand: Done. Package arriving in 3-5 business days. Brain: Hey wait! Didn't you hear me say not to buy that? Hand: Sorry. Force of Habit out ranks you. Brain: Mutiny! I must destroy Force of Habit. Brain: Complete control! It will be mine! Common Sense: You don't listen to me, do you? Brain: Nope. I am your fearless leader. Common Sense: That's not a good thing. I am seeing the future, and it's not pretty.